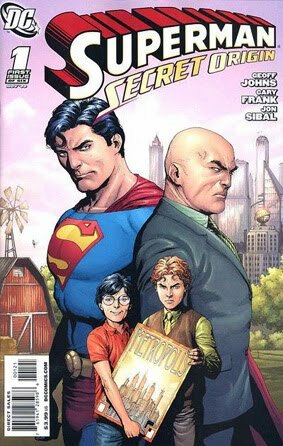 • PLOT SUMMARY: "The Boy of Steel"- A Geoff Johns, Frank Gary 6 issue mini on the origin of Superman for the 21st century. This volume retells the classic story of Kal-El’s arrival to earth, his years in smallville and his first appearances as Superman in Metropolis. We also get to see Lois Lane first impression of Clark Kent and how some of Superman’s greatest foe’s became what they are today. A must read for any Superman fan. Variant Cover art by Gary Frank.